We had questions from the community about the improved ballistic system update and today, War Thunder producer Vyacheslav Bulannikov is going to answer the most popular in this Q&A. Q. Is the new system going to affect HESH shells? If yes, how? A. These changes do not apply to any HE, HESH or HEAT shells. Q. Have you planned an update to the ricochet system? Sometimes larger shells ricochet off very light vehicles. A. A ricochet at a given angle and range (you can check it in the ammo info card) is possible when the round calibre/armour thickness ratio is lower than 7. If the ratio is 7 or higher the armour is broken. We do not plan to review this system or make it more complex at the moment. Q. What about the hardness of the material used in a shell? All kinds of different materials were made with varying degrees of hardness through out time. A. Material hardness will not be taken into account in calibre type projectiles since this parameter could be really different. Depending on the time of production, hardness could vary greatly for the same round type and choosing specific values would not be accurate. However hardness (density) of the core for such rounds as the APFSDS will be taken into account. Q. Are there any plans to change the penetration system concurrently? Shells are 1 pixel wide in game, so they can go through tiny armour gaps, for example a 152mm shell can fit in a 10mm armour hole. A. That’s a complex and non-trivial task, we studied possible variants several times and at the moment we haven't found the one that meets all the requirements. Perhaps we will come back to it in the future, at the moment we use the method that is most widely used in games. Q. Will document sources contradicting the results of the formula be discarded even if there is no contradiction with other documents, or could there be exceptions in the system? I know you mentioned APDS, was wondering if other shells might also be excluded in some cases. A. Exceptions are a rare case, where no other methods allow us to gather the correct data about the round. Differences of the penetration data in different sources are not enough to add a round to an “exception list”. One of the purposes of this method is to exclude incoherence in data from various sources, otherwise penetration values will be constantly changed. Q. Have you any plans to improve HEAT ricochets? In many case, HEAT projectiles should not ricochet, but either break or detonate. Many HEAT shells are too fragile to stay intact after a ricochet. A. HEAT rounds can ricochet at high angles of impact, the specific angle depends on the fuse design. Of course, a round can be destroyed after impact and this is implemented in our game, after ricochet, a round loses its stability and can self-detonate. Here is the data on the V-15 fuse for HEAT rounds. As you can see the angle is 0 to 70 degrees. Q. Is there any plans to have the same system for aircraft guns? It’s really hard to understand how the munitions really perform, and even harder to know if they perform correctly. A. For high-calibre guns that use similar rounds to tank rounds - yes. Q. How about the APHEBC? (a shell type some russian guns use). Is it going to be the same as APBC/APCBC now? It has had weird characteristics for years. A. The slope effects for these rounds will also be implemented as they were for the APBC Shell. Q. Japanese tanks guns performance took a hit with this new system. What have you planned in this regard? A. BR changes will be made where they are required, this affects all nations, not just Japanese. Q. How is penetration calculated? What are the mechanics for the rounds with different cap shapes? A. Cap shape affects armour penetration at specific angles and this is taken into account in the slope effect sheet. To get penetration value at a specific angle you should divide armour thickness by slope value for the required angle. Q. 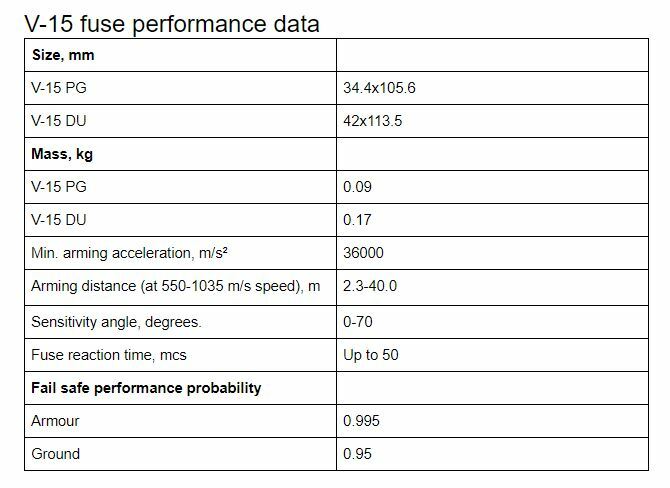 Do these formulas apply to low-calibre aircraft weapons? A. At the moment, we have not considered applying the formula to low-calibre MGs. Q. Rounds of the same type and calibre may have different penetration, will it affect the calculation? A. If these rounds have different parameters affecting penetration - mass, velocity, HE mass etc - this will affect calculation results. Q. Can you show us the exact formula where penetration is calculated? It is unclear where we should use the mass of a core and where the mass of a round is used. A. In the future the exact characteristics of the rounds will be shown in the War Thunder Wiki directly from the game in articles specifically for guns. Q. De Marre’s formula does not take explosive mass into account, but using your calculator one notices that final penetration value is not linear in reference to explosive mass. Are these some kind of hidden parameters? A. Indeed, De Marre’s formula does not take explosive mass into account, that’s why we used data from AaG that allowed us to formulate penetration value reduction depending on the filling coefficient and added explosive mass as one of the coefficients to the formula. 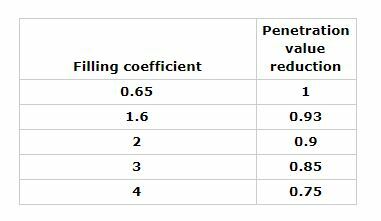 Taking explosives into account allows us to calculate penetration value more accurately - rounds with higher filling coefficient have lower penetration values. The exact values are not hidden, you can see them below. i think i might have missed it being mentioned anywhere, but this should be implemented in 1.87, right? It should happen before 1.87. Thank you dev team for clarifying on a lot of the questions. Though, HE shells from large caliber guns did have significant armor-pen ability from the sheer weight of the shell casing smashing through armor like a blunt-nose AP shell. The Russian 122 was almost as effective irl with HE as it was with AP for antitank work. Ingame HE would be less effective than AP but still kill a lot and have near-guaranteed hull break on select stupid vehicles like potato trucks. Also, thank you for posting the subcaliber core masses, that will help greatly with estimating changes to APCR. However, for APDS are we supposed to use the top calculator for full-calibers? Man everyone needs to remember that this is still a game, y'all want Einstein level physics but complain about trolly armor and such. This system should unify a lot of expectations and babe the game more fun. I looked at the APFSDS changes and I've gotta say I'm not really pleased that the long rods weren't given NATO Obliquity. And that it seems you didn't take the frustrum dimensions into account either. 12.8cm PaK 44 will go from a max of 266mm of pen to 213mm of pen... which is worse than the 88mm. Does this mean the Jagdtiger, Maus and E-100 will get downtiered to make their guns more viable? 213mm of pen at 7.7 is extremely lacklustre, compared to the 300 to 400+mm SABOT and HEAT-FS gets at that same BR.